Razorbumps come from Denton, Texas, and they make slashing, melodic, ridiculously catchy garage-punk. Last year, they released their album Hellrazors, and they also opened up the absolutely absurd Turnstile/Touché Amoré/Culture Abuse tour. This year, they’re playing Coachella, and they’ve just cranked out an extremely fun two-song cassingle. The two songs, “Freak Baby” and “Teach Me Somethin’ New,” are a pretty ideal introduction to this band. They’re two gloriously nasty and cheap synthy snot-bombs, songs that the early B-52’s might’ve made if they’d come up on the circa-now DIY underground. Listen below. 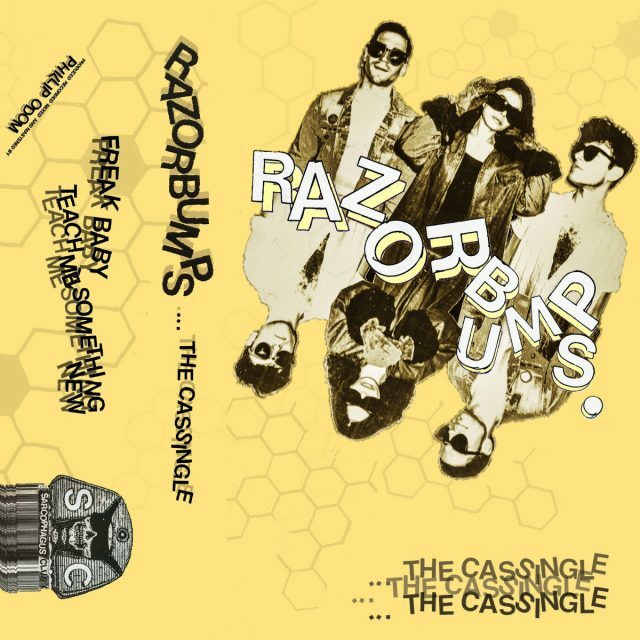 The new Razorbumps cassingle is out now, and you can buy it at Bandcamp.